The cows, they did come home! 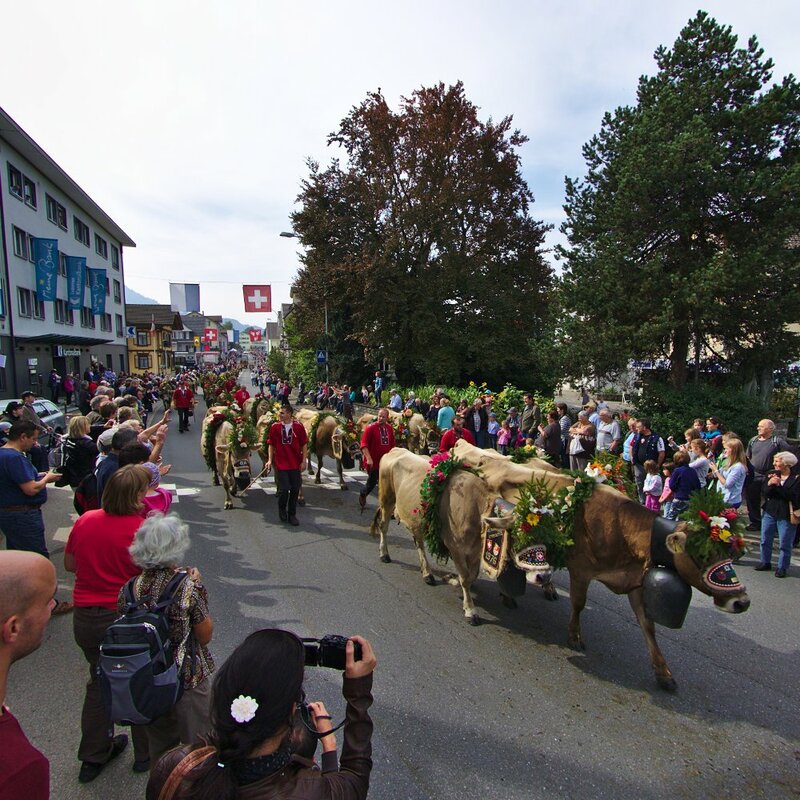 This year, we had an opportunity to visit the 10th annual Entlebucher Alpabfahrt (descent from the Alps) at the end of September 2013 in Schüpfheim, Switzerland. Every year, farmer families take their cows into the mountains in spring and they return in the fall. 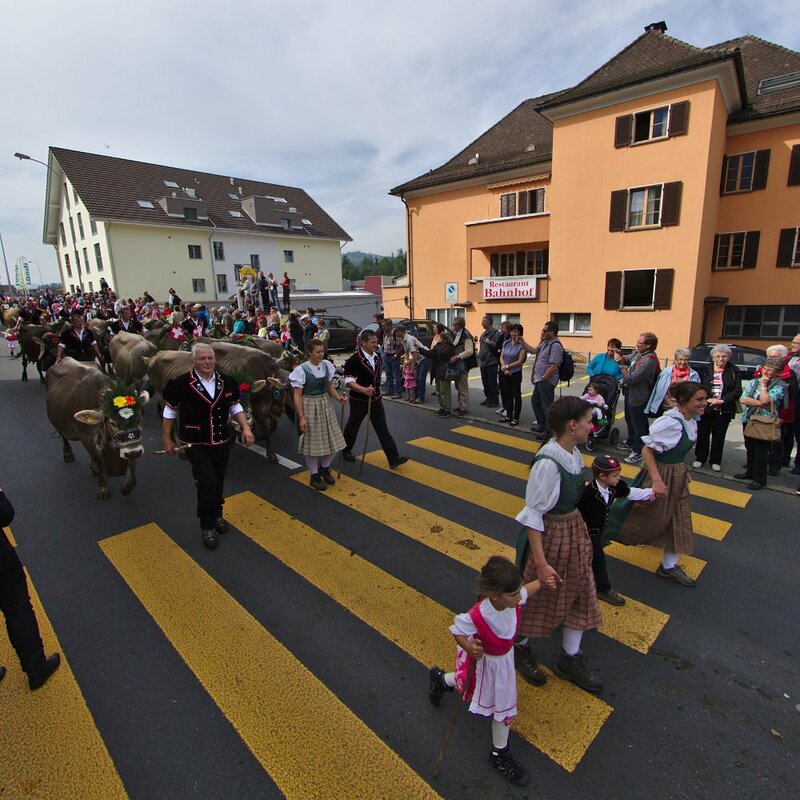 Traditionally, different families came back at different dates depending on the weather and the pastures, but for the last 10 years, several families have co-ordinated when they return and the date is announced in advance so visitors can join in the festivities. The custom of going up and down the mountains has always been filled with tradition. 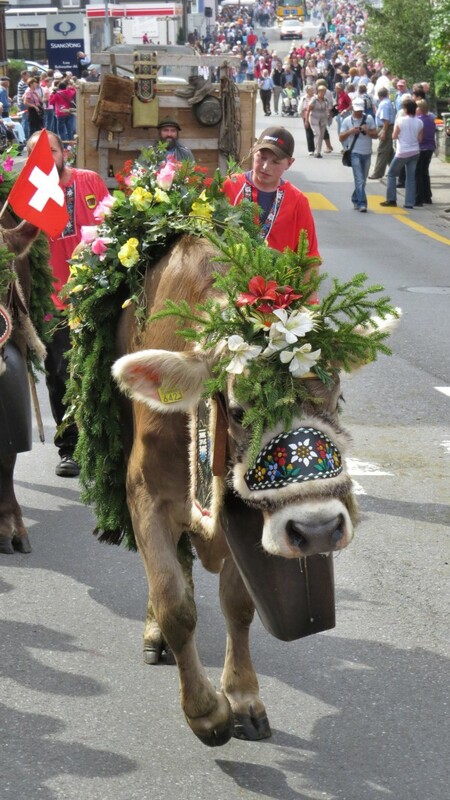 In the photos you can see some of the traditional clothing and decoration of the cows. The event is also very popular and crowded as you can see in the photos. And of course, there were lots of cows – about 200 in total! Not just any cows, this is where the Emmentaller cheese comes from (“Swiss cheese” to you Americans). These are some of those very cows. Give these ladies a toast with your next ham-n-Swiss. Of course, we also took tons of photos! Click on the link below to have a look at some selected photos from the day.